Buying a new car can be very stressful. The whole process puts a lot of pressure on drivers of Webster, Rochester, and Wayne County to make the right choice. The last thing you want to happen is to drive off the lot in a car that’s wrong for you. One of the ways that you can ensure that you’re making the right choice is to thoroughly research a potential vehicle before visiting the dealership. But with all of the different sources out there, how can you be sure you’re getting the best information? 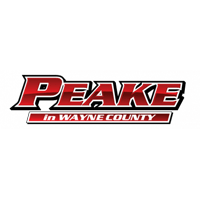 With Peake Chrysler Dodge Jeep RAM Fiat’s vehicle reviews and vehicle comparisons, you can be sure that you’re getting the most comprehensive and up-to-date information about a Dodge, Jeep, Chrysler, RAM truck or Fiat in Rochester, Wayne County or Webster. Our reviews are designed to make your car-shopping process easier by giving you the opportunity to learn more about a vehicle in order to ensure that it’s the right choice for you and your family. Peake Chrysler Dodge Jeep RAM Fiat makes sure to only include information that’s important to your new car decision. Through our vehicle reviews, you’ll learn about the different interior amenities, exterior builds, drivetrains, beneficial safety features and much more. The goal of the Peake CJDRF vehicle reviews is to make you a smarter car shopper, so you can learn the most important information that gives you a better understanding of the vehicle. A lot of other online vehicle reviews are difficult to read because of their complex terms that aren’t helpful for non-automotive enthusiasts. These types of reviews can be difficult for car shoppers of Wayne County, Webster, and Rochester to benefit from, so Peake CJDRF makes sure to write our vehicle reviews in a language that you can understand with information on the vehicle that directly pertains to you. Below you’ll find Peake Chrysler Dodge Jeep RAM Fiat’s vehicle reviews. Be sure to take a look at them before you make up your mind on a new Dodge, Jeep, Chrysler, RAM, or Fiat in Rochester, Wayne County or Webster so you can be a smarter car shopper.